Built in the winter of 2012-2013. 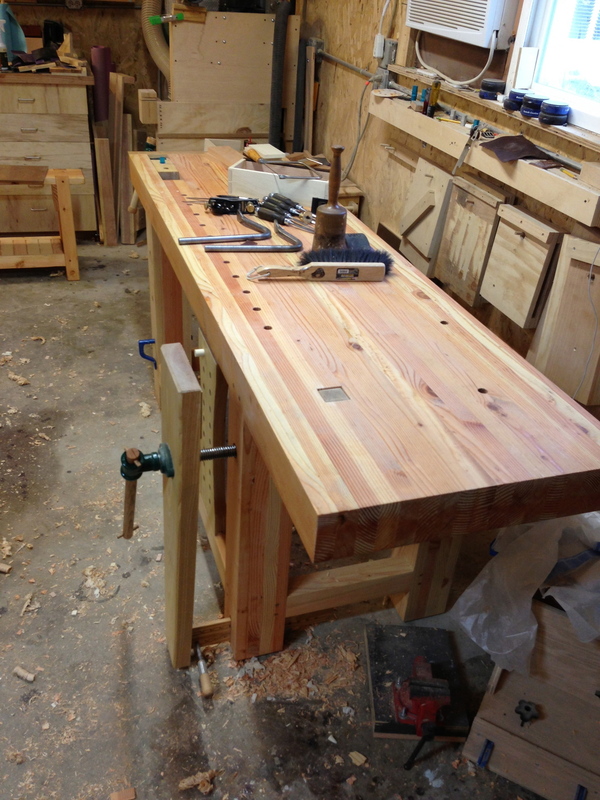 I needed to replace my old “weekend workbench” badly, and I built myself a Roubo from Douglas fir and ash. 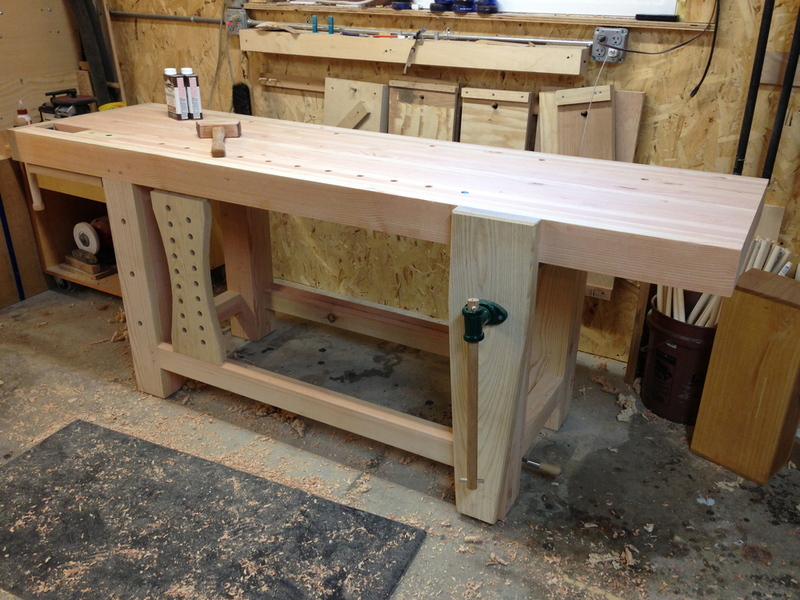 I detailed the build in this five part blog series at lumberjocks.com called “YAR! Yet Another Roubo” if you want to see scads of in progress photos. This bench is amazing, and I spend less time trying to figure out how to hold work down and more time working on the projects. Not to mention it is just beautiful, and I think a shop should be as nice and inspirational as possible. It is 24” deep x 7’2” wide, and about 33” tall. 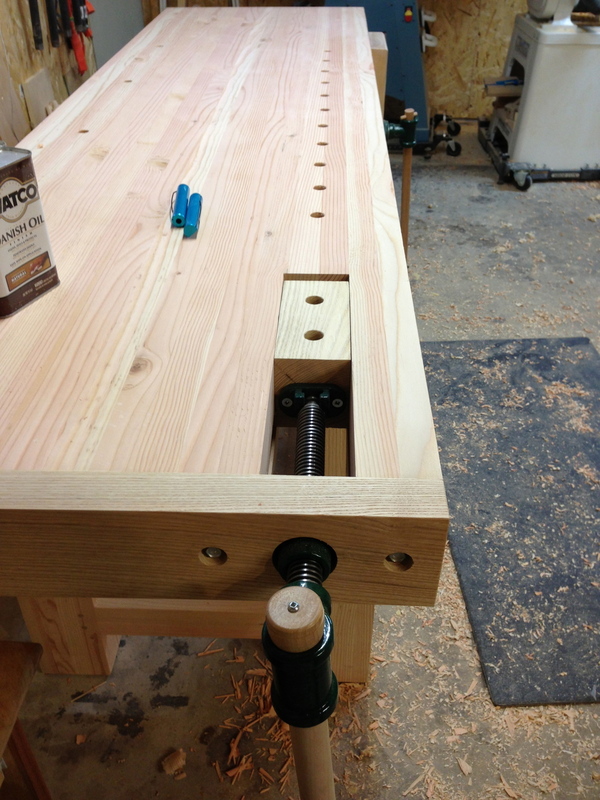 I am a southpaw, so you may notice that the vise setup is ideal for lefties. Total time was about 4 to 5 full weekends. Lumber cost about $300 (the ash came from one 8/4×9” x 6’ slab for about $60), and the hardware was about $100 (two vise screws from Lee Valley, a pair of holdfasts, and some Spax lag bolts for the end caps), and a piece of leather for $12.